From Rome to London - constantly looking for places to shout "I LOVE IT!" at. Looking for the perfect place for your weekly brunch in West London? No wonder you have to head to Notting Hill to find it. Even though the choice is big - you can see three to four different brunch places one next to the other - but heads up for the best of the area: 202 café. 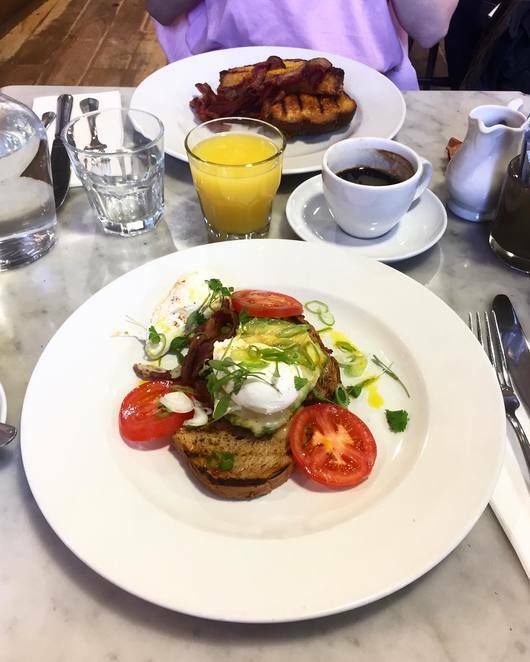 Located in Westbourne Grove, the place clearly reflects the area; classy but not too sophisticated, modern but with a touch of antiquities, and obviously brunch-oriented, and if you go down the stairs, you will also find a small shop. Overall, the 202 café gives you a sense of peace and relaxation. It really feels like it's a Sunday when you enter in there. Back to the brunch: the menu is huge and can satisfy any taste: from the full English Breakfast to the 202 Healthy Breakfast (pictured below) to pancakes and croque monsieur, you can't possibly go wrong. It is, hands down, one of the best brunches I have ever had. I loved it so much that I went back there for a second time, which I never do. You can't resist the freshness and the quality of the ingredients, and if you are a minimal design lover, as I am, your heart will explode in front of the all-white surfaces and the movie posters. 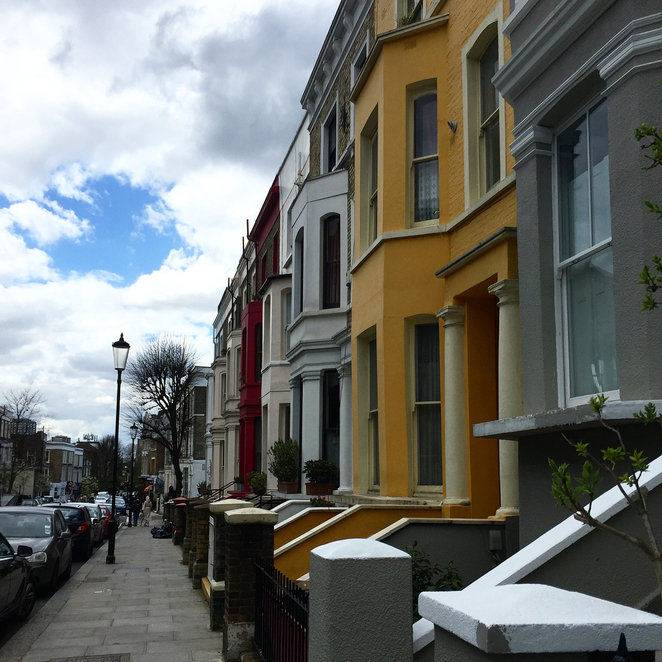 You have no excuse now for not going to the world-famous Portobello Market and find that special little treat you were looking for, or just to take a not-so-original picture of the beautiful pastel houses of the area.